Cameras nowadays seem to have every feature baked into them, but sometimes it can help to have a few extra tools on hand to both protect your gear and push to its fullest potential. To help get you started on your photographic endeavors, we’ve rounded up some of the must-have accessories for your kit, whether you’re shooting with a DSLR or mirrorless camera. With all high-tech gadgets and gear it is important to keep the screen clean and protected. Regardless of make or model of your camera, there should be one or two screen protectors available for purchase that will fit your camera’s display(s). Camera manufacturers will oftentimes offer their own screen protectors that work with your camera, but if not, there are always alternatives. Companies like Hoodman, GGS, and Vello make great — and affordable — screen protectors. They often start around $10 and tend to be no higher than $30 or so, even for double-protector kits if your camera has a top display as well. Unless you purchased your camera used, there’s a good chance it came with a strap in the box. While the included straps aren’t inherently bad, they’re not always the most comfortable and certainly not the most stylish. Thankfully, there’s no shortage of options out there to get the perfect camera strap for your needs. Whether it’s a dual-camera rig for when you’re carrying multiple cameras or a stylish leather strap to match your Redwing Iron Ranger boots, there’s a strap out there just waiting to keep your camera securely attached to your side. Here are some of the best camera straps on the market. A tripod is an essential tool in any photographers kit. Most photo blur is caused by human error — shaky hands make a shaky camera. Tripods come in a variety of shapes and sizes, from heavy, stable models for studio work to lightweight and compact travel models. There are also two types of tripod heads, the part to which the camera connects: the ball head and the pan/tilt head. The ball head is usually more expensive but the “ball” aspect gives the more flexibility, with the ability to quickly orient the camera in any direction. To help make your search easier, we’ve rounded up a collection of our favorite tripods on the market. This is probably a no-brainer, but it’s worth mentioning. An extra battery (or five) can be a lifesaver if your camera loses power on a shoot. 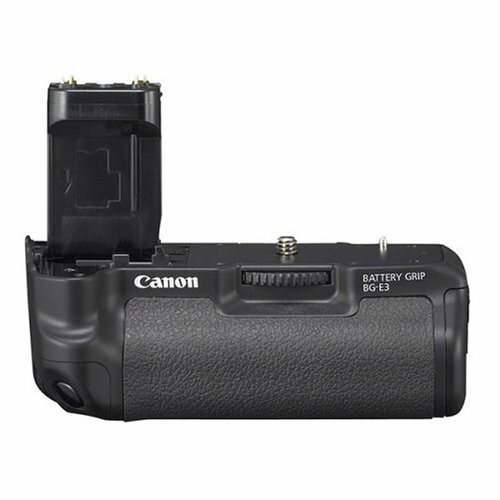 All camera manufacturers suggest using first-party batteries (and we generally agree), but there are plenty of third-party options available if you want to save a few bucks. Third-party batteries may not match the exact specifications of first-party versions, and in some cases may not work properly on future camera models. However, the money you save may make the risk well worth it. Whereas a single Canon-branded LP-E6N battery retails for $63, two third-party LP-E6N batteries from Wasabi Power will only set you back $20. Can't draw on an Etch A Sketch? Snap a photo with the Etch-A-Snap and the camera will draw out the scene for you. The weirdly cool camera designed by Martin Fitzpatrick replaces the usual LCD screen with an old-school Etch A Sketch. Where cheaper wide-angle accessory lenses add distortion, and costlier models don't always justify their higher prices, the Black Eye Pro Cinema Wide G4 offers a valuable balance of modest price and high quality optics. Panasonic Lumix S1R vs. Nikon Z 7: When megapixels matter, which do you choose? The 47-megapixels Lumix S1R and 46-megapixel Nikon Z 7 are the two highest-resolution, full-frame mirrorless cameras on the market. The S1R features a high-resolution mode that can take 187MP images, but the Nikon is lighter and cheaper. Wacom’s Cintiq pen displays are usually reserved for the pros (or wealthy enthusiasts), but the new Cintiq 16 brings screen and stylus editing to an approachable price. Does it cut too much to get there? Need pro-level features on a budget? The best cameras for students mix advanced features with a more palatable price point. From $2K entry level full frame cameras to $600 budget picks, here are five of the best cameras for students.